I got an email from J.Crew this week, displaying a stylist's picks from their collections for spring. I noticed they were using mostly aquas, mustard yellows, and soft iron greys and I just loved it. 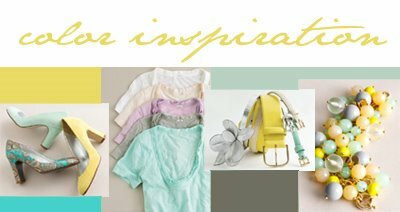 So, I have assembled a few things inspired by the spring colors going on over at J.Crew. What do you all think about this color palette? Leave a comment! I love the palette. It makes me soooo excited for spring! I like your finds too - adorable! Thanks Amanda! I am totally in love with the idea of pairing mustard with aqua for some reason.